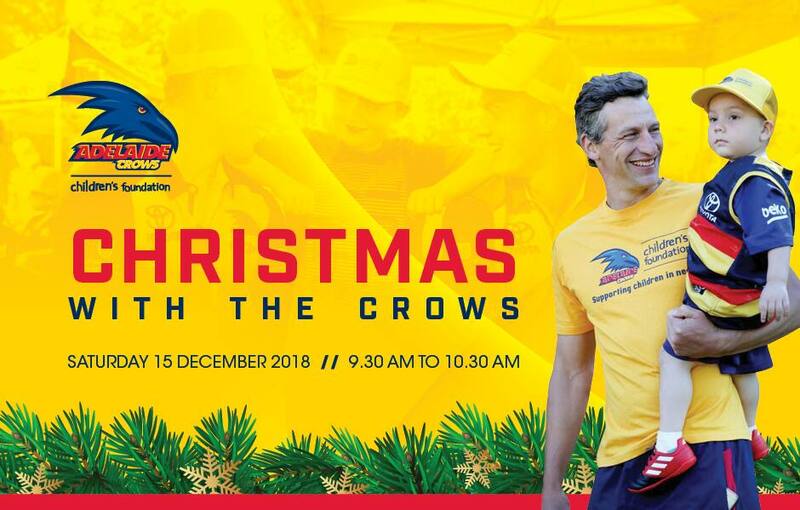 The Crows Children’s Foundation is giving five lucky kids the opportunity to meet their football heroes at a special Christmas breakfast on Saturday, December 15. The event will be open to approximately 50 kids in total, with Foundation partners Kickstart for Kids, Big Brother Big Sister and Variety, as well as Ronald McDonald House and Starlight Foundation also inviting deserving children. All of Adelaide’s male and female players will be in attendance, armed with gifts they have chosen for the children in need. The celebration will run from 9:30am to 10:30am at a special location still to be announced, and will even include a visit from Father Christmas himself. Crows Children’s Foundation projects officer Jill Moss said the event was an opportunity to give back to the Club’s young fans who may have had a tough year. “It’s a way for us to spread some Christmas cheer and thank the Foundation’s 2018 partners,” Moss said.